The magnificent Crowley Thoth Tarot Deck contains the kabbalistic and astrological attributions described in Aleister Crowley's The Book of Thoth. 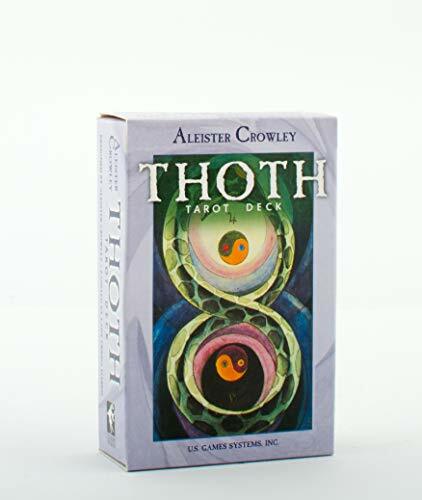 The Crowley Thoth Tarot Decks currently available are published by AGMuller and distributed by U.S. Games Systems, Inc. Cards measure 2.75 x 4.375 inches in this Small version. Published by U.S. Games Systems Inc.